New ListingDeathstroke - DC Universe Classics (loose) - FREE SHIPPING! MULTIVERSE - JUSTICE LEAGUE. INCLUDES EXCLUSIVE STAND. TARGAET EXCLUSIVE. I DO THE BEST ON INFORMING ABOUT ANY PRODUCT SPECIFICATIONS AND PRODUCT'S CONDITION. It is in-hand and ready for your collection. Bought this as a youngster 35 years ago from The Marvel Booth at a Comic Book Spidey Convention. This is for what you see in the photos. 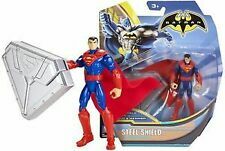 Mattel Superman Batman Public Enemies Icicle Action Figure Brimstone BAF. Condition is New. Shipped with USPS Priority Mail. DC SUPER HEROES MATTEL SELECT SCULPT DARKSEID FIGURE Loose. Condition is Used. Comes with Mother Box. In great condition. A little dusty. Smoke free home. Shipped with USPS First Class Package. 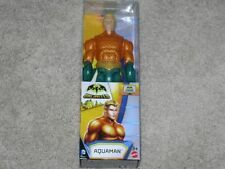 MATTEL DC COMICS AQUAMAN MOVIE MERA 6" INCH ACTION FIGURE NEW! Trending at $27.66eBay determines this price through a machine learned model of the product's sale prices within the last 90 days. New ListingMr. 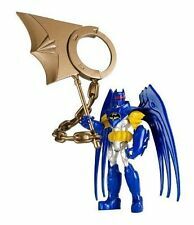 Terrific - DC Universe Classics - looe - FREE SHIPPING! Only little flaw is he seems to have a small white patch on the top of his head. T-Spheres included! Item is new mint sealed case fresh. from batman unlimited series. 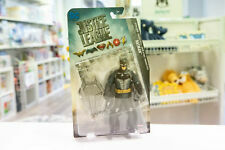 DC Movie Masters Batman The Dark Knight Rises GCPD Blake 6" Loose Figure Mattel. Condition is Used. Shipped with USPS First Class Package. Will be shipped in a bubble envelope with tracking number. DC UNIVERSE CLASSICS JONAH HEX WAVE 16 SERIES 1 LOOSE ACTION FIGURE V2875 MATTEL Loose figure, not in original packaging. Great condition, displayed only. Revolver included. See pictures! Please purchase/bid with confidence as we have been in business for over 10 years and have almost 75,000 total feedbacks! Please contact us before leaving a negative feedback, we are sure to reach a solution. Aquaman (Movie version / Momoa sculpt), with trident, as shown. from the Trench Warrior Collect & Connect (BAF) series. Trench Warrior CNC/BAF piece is NOT included. see scans for idea of condition. DC Universe Classics (2010) All Star Figure 7 THE JOKER RARE VHTF . Condition is New. Shipped with USPS First Class Package. 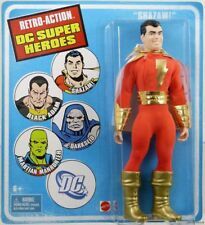 The fourthGreen Lantern from Earth is also the fourth of our exclusive 8" Retro-ActionDC Super Heroes ! 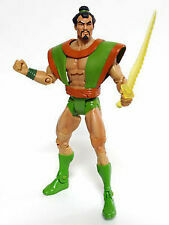 1984 Mattel Marvel Comics Secret Wars 4" Action Figure- Hobgoblin. Condition is Used, wear on paint, tear in cape. Shipped with USPS First Class Package. San Diego Comic Con Exclusive! If the item is delayed or loss we will not be able to locate it. DC Universe Classics Robin 6" Figure Mattel Comics. Condition is used and was only briefly displayed in a smoke free home. Please note that Robin's staff is not included. U.S. buyers only please. Lot numbers may vary. Photos are. NEW in its box . DCUC DC Universe Classics STRIPE BAF 9" Loose Figure COMPLETE. Condition is Used. Shipped with USPS Retail Ground. I am a one man operation. I will be adding many more collectibles,antiques,toys,fishing gear ,rc's and much more in the upcoming weeks and months! This is in good played with condition and has normal signs of wear. 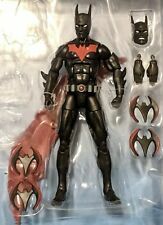 DC Comic Multiverse CNC BAF ROOKIE BATMAN action figure 100% complete + extra!